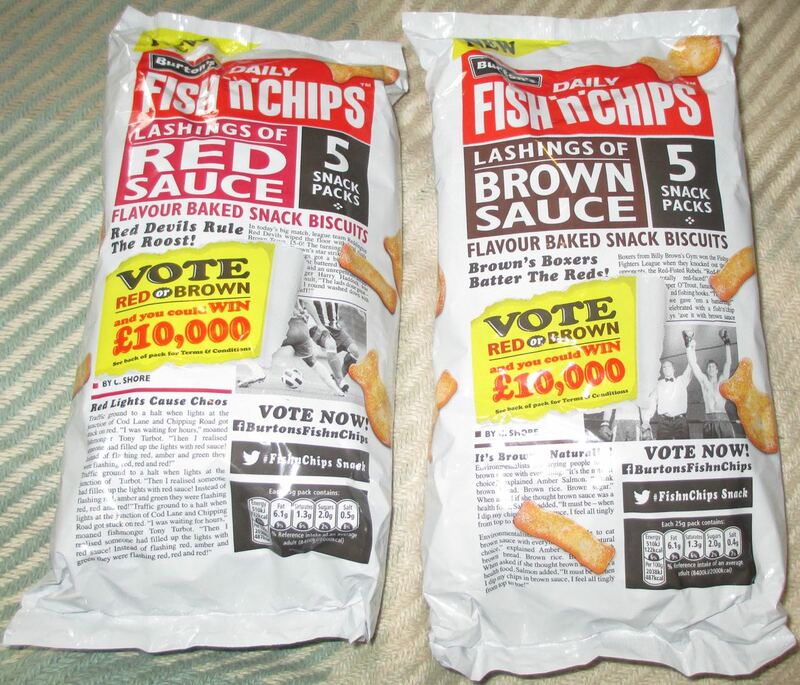 They have released their Fish and Chip snacks in both Red Sauce flavour and Brown Sauce flavour for the nation to decide which they prefer. 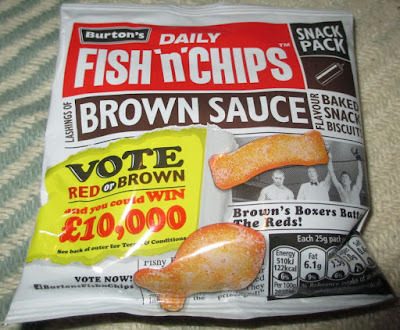 I’m always up for a Foodstuff Fight so bought a bag of each (okay and a bag of the Salt and Vinegar and a bag of the Chicken ones too). I gave them the taste test to make my choice. I have to confess I don’t usually eat brown sauce. I like ketchup and the brown sauce bottle isn’t something I’d naturally pick up. So I was quite surprised to find I really enjoyed these crisps. They have a brown sprinkle of seasoning and the taste was fruity and spicy and really every pleasant. This stumped me I was sure I wouldn’t like them but I happily munched my way through them and am looking forward to the other packs in the bag. It even made go back and retry brown sauce from the bottle, and it was a much better flavour there too than I’d remembered. 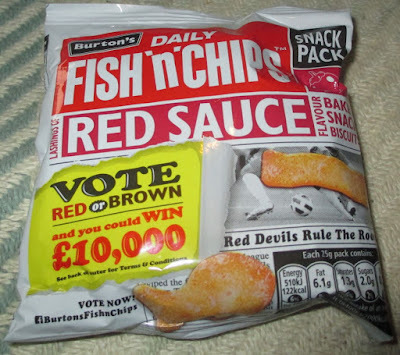 The crisps had warm red seasoning on the them, which meant the two flavours were easy to tell apart visually. I picked up one of the Red Sauce fish in the packet and gave it a try and was overwhelmed by just how nice the flavour came through. There is a fabulous sweet tomato taste and just a nice aftertaste of mild spice. The flavour is quite full on, but it is just pure tomato goodness. These hit the mark completely for me, and anyone who likes tomato based flavours will love them. 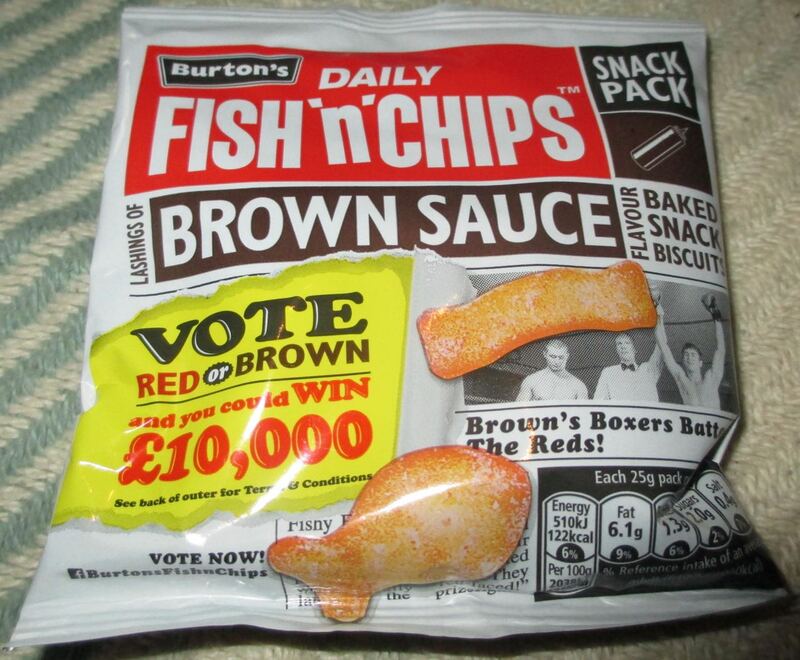 I was surprised by how good the Brown Sauce Fish and Chips were, I thoroughly enjoyed them. However the Red sauce ones were out of this world, and if I was going to vote it would be for the tomato ones. So for me it was a win for Red, but a nice surprise that Brown was so close. Some of this may be bias though as I do like Ketchup. Have you tried both, which do you prefer?